Economy Class Airfare on IndiGo Airlines (Delhi - Kuala Lumpur - Delhi), 3 Nights stay on Cruise (SuperStar Gemini), 1 Night accommodation in Kuala Lumpur, Daily Buffet Breakfast at Hotel, All Meals on Cruise, Airport & Cruise transfers on SIC (Shared) basis, Malaysia Double entry Visa charges, All taxes. 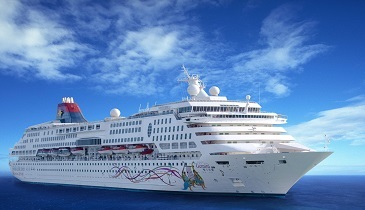 3 Nights Stay on Cruise (SuperStar Gemini). 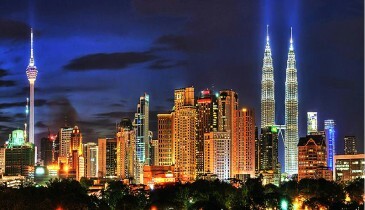 1 Night Accommodation Free in Kuala Lumpur. Thailand Visa fee from India Rs. 4,000/- (per person) Extra. As of now airfare in the package is calculated at Rs. 18,000/- (per person). Any increase in the airfare to be Paid Extra. Good and nice package with very nice services. I liked this package best because there is a lot of time to explore on your own without any hassles. VISA and taxes cost is already included. Best for backpackers or those who like to explore on their own. DPaul's is one of the best travel companies I have come across. From economical to luxurious, D Paul's have all kind of packages, as per my experience with D Paul's, it is value for money. 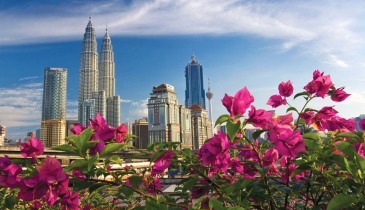 "Best Tour of Malaysia With Dpauls"
Malaysia is the good country for travel. we see Kl tower and 3 nights stay in penang. Panang is the nice place of malaysia.Tansfer of Dpauls is good. once again i want to visit malaysia with Dpauls. penang is a lovely place and it was just the right type of break that me and my husband wanted! peaceful, beautiful and an air of romance. not much crowds and nice nightlife! Photo Form (Paste 1 photograph on the Form per person). Senior citizen form (if above 60 years). Kindly be informed that the Tourism Tax imposed by The Royal Malaysia Customs Department will commence on 1 Sep 2017. Malaysian and permanent residents will be exempted from paying the tax, while foreign tourists will be charged a flat rate of RM10 per room per night for all hotel classifications.